Results of the investigation into entropy and the Arrow of Time. While the scientific element of the performance was not entirely serious and certainly not rigorous or thorough by scientific terms, it seems important to conclude the work by providing a breif outline and analysis of the results. 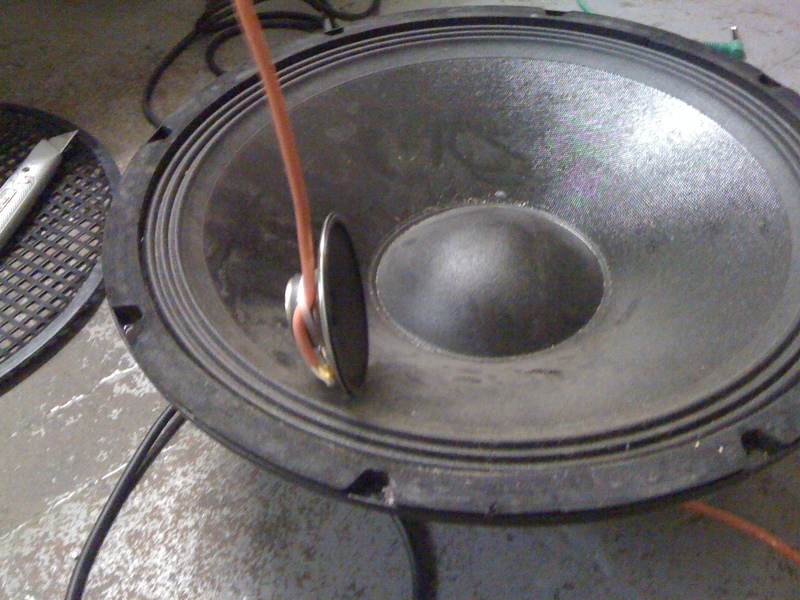 One working model of an induction coil for audio use. The audio recordings show some kind of change over time, begining with a basic feild recording and ending with a semi-chaotic combination. Click here for a list of the posts of recordings in reverse chronological order. he images of my workspace show it becoming more disordered and chaotic over time from the ‘absolute zero’ state at the begining of the event to the final condition for the fonal recording. This loosely fits with the definition of entropy. Click here to see the workspace images in reverse chronological order. Throughout the twenty-four hours I actively sought out influence from other artists’ work and performances and through discussion with them; I sought to absorb their creative energy or ideas into my own practice or otherwise let it inspire or influence my work. Notable sources of influence were: Gary Fisher’s field recordings around the site; Lucky PDF’s analogue transmissions; Action Cover Party’s performances, specifically a version of Steve Reich’s Pendulum Music; Matt Jackson’s interactive sound installation; Debbie Sharp’s use of baloons in an installation; discussion with Emily Phillips about Joseph Cornell; and many other interactions, discussions and meetings too numerous to mention. During the final performance I used all the recordings I had made throughout the night, played back on the two cassette players and from the laptop. I manipulated the sounds with basic eq and panning on the mixer, changing tape speed and some use of the delay pedal both for echo and looping. Some sounds were also sent to the third speaker, which resonated the marbles within the cone. A recording of the final performance will be available here when I have the oportunity to upload it. Below is a clip of the performance. Many thanks to Louis McDonald for filming and uploading. 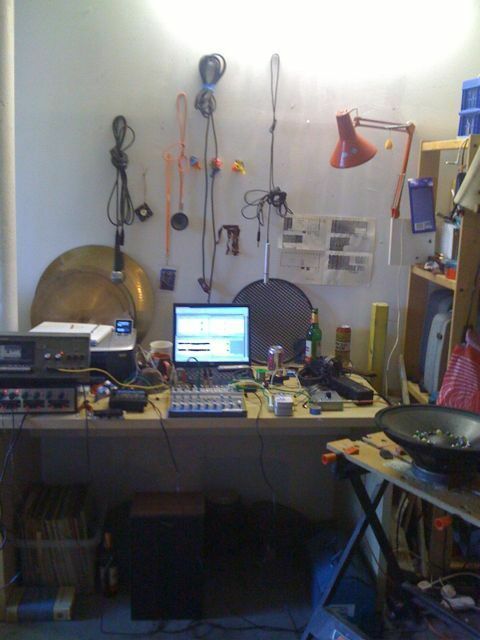 A photo of my workspace with the final setup for the live performance. Playback of sounds through two cassette players and laptop; mixer with delay unit on the effects send; and third channel of audio sent to a small amplifier and a fifteen inch speaker cone filled with marbles. Currently copying recordings from the past 18 hours onto cassettes and reel-to-reel tape for use in a performance at 11:30. Unfortunately my laptop is not currently connecting to the internet, so a recent scan of a poster advertising the performance and a photo of my workspace cannot be uploaded; these will be added later when I can reconnect. 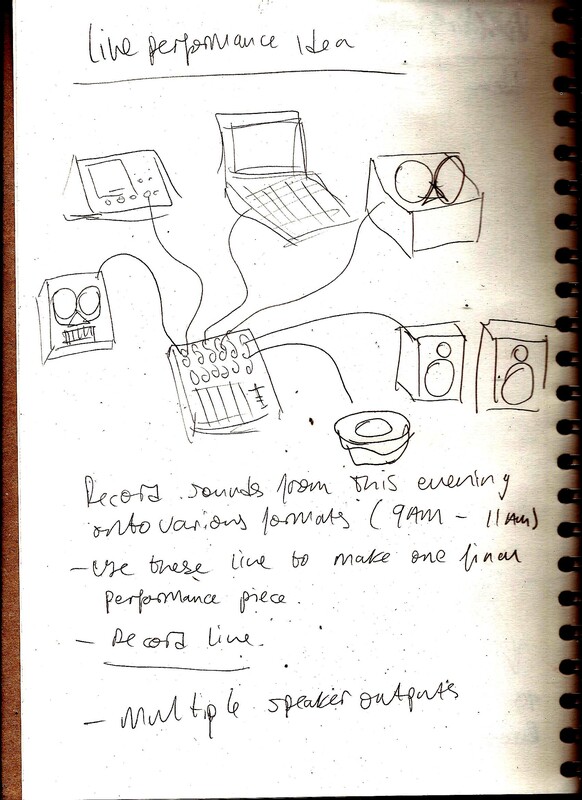 Inputs for the live performance will be two cassette players and two reel-to-reel machines. 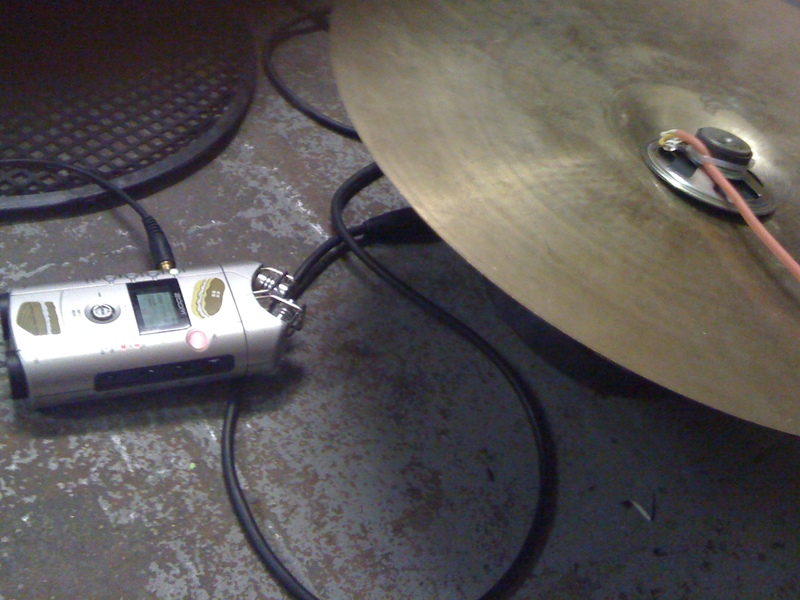 Recording using speakers as microphones, with feedback through cymbals. Recorded with Zoom H4. 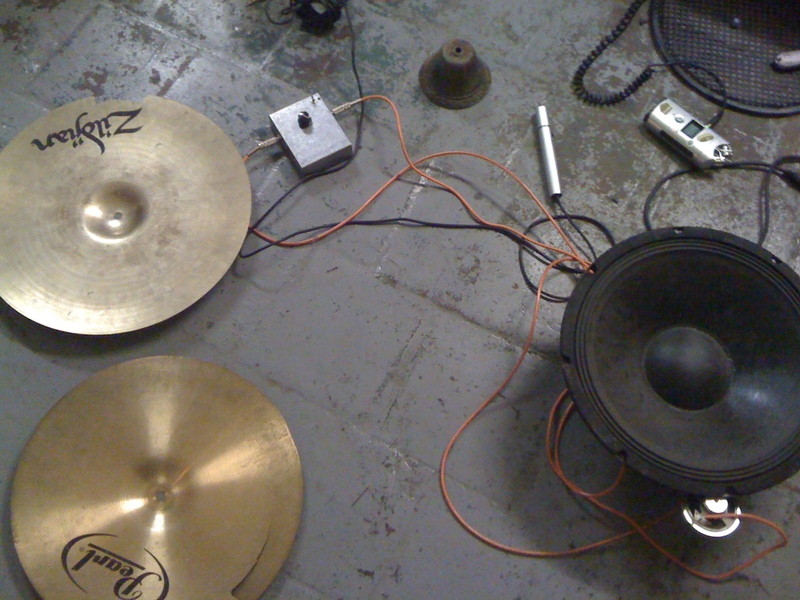 Idea to make an improvised live performance as a culmination of the Mill 24 event: use sounds recorded throughout the night to make an improv piece; record sounds to various media on loops, play back with live effects, etc.